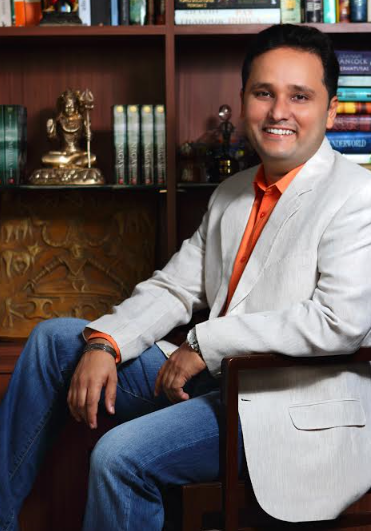 Amish has redefined the way Indian authors are perceived time and again with the success of the Shiva Trilogy and Scion of Ikshvaku (Book 1 of the Ram Chandra series).The author is leaving no stone unturned to create history with the announcement of the Book 2 of the Ram Chandra series. In an interactive Facebook Live Session, Amish spoke about how eager he is to share his new book with the readers who have been waiting for over two years now. Amish has raised the anticipation quotient of his readers by sharing that the details of his new book will be revealed in an exclusive Facebook Live Session on 22nd March at 7:30pm along with the Union Cabinet Minister of Textiles, India Ms. Smriti Irani, who is a reader and admirer of his books. The first book in the Ram Chandra series, Scion of Ikshvaku was one of the bestsellers of 2015. It also won the Raymond Crossword Book Award 2015 – Popular Choice. The Shiva Trilogy & Scion of Ikshvaku have sold over 3.5 million copies till date. Amish announced that the second book will be officially launched in the market by end of May or early June 2017. Teasing the fans, Amish revealed that this book is not exactly a sequel as it takes you back to the beginning. This big reveal has left the fans wanting to know more. 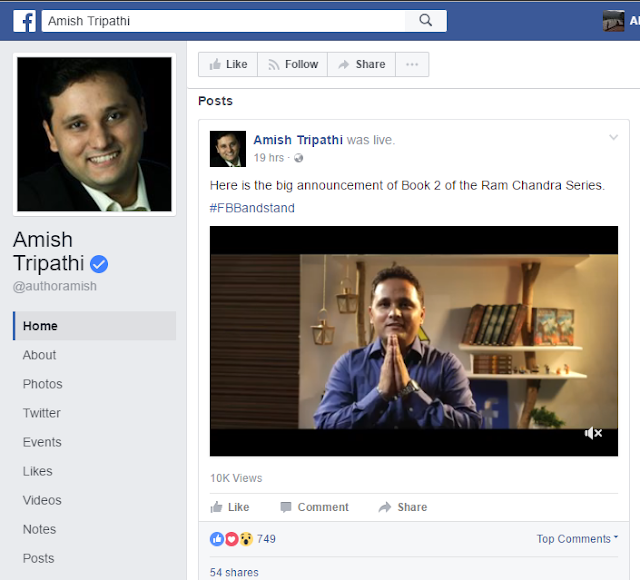 Ms. Smriti Irani & Amish will officially release the title of the new book and share details about the book on 22nd March at 7.30pm on Amish’s Facebook page (facebook.com/authoramish). The pre-booking for the 2nd installment of the highly acclaimed Ram Chandra series will also begin on March 22, 2017.